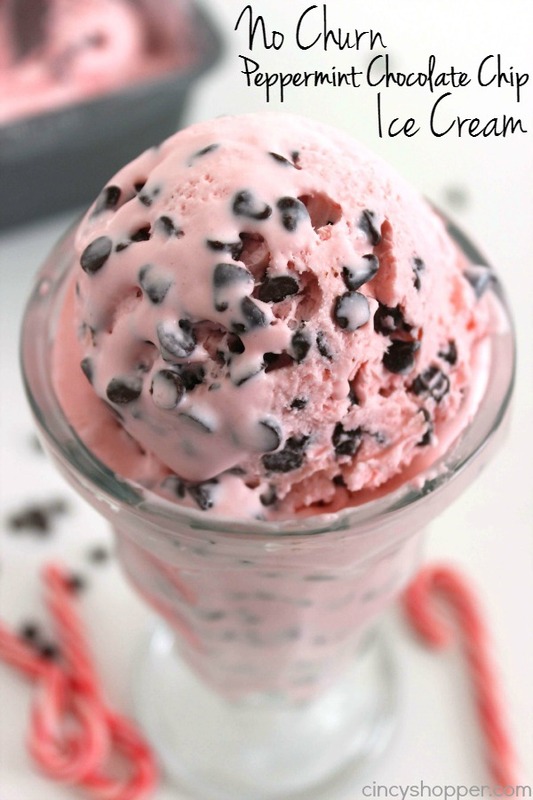 This Easy No Churn Peppermint Chocolate Chip Ice Cream will make for the perfect dessert this holiday. 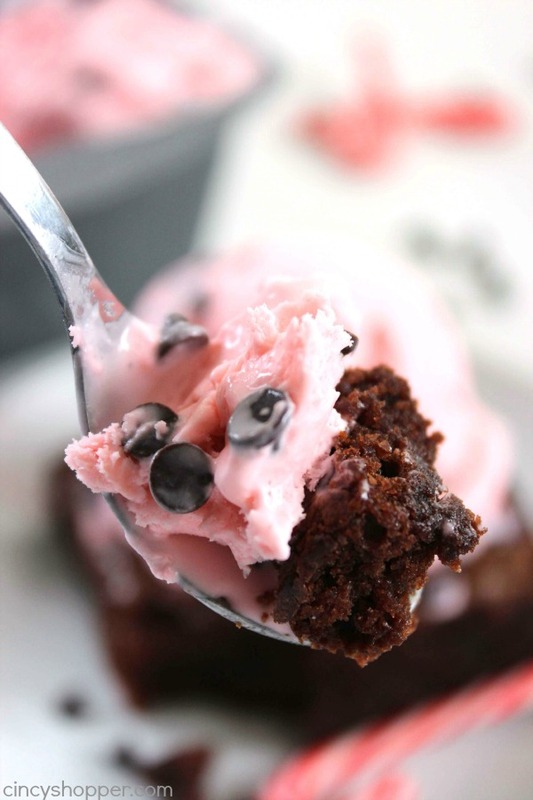 Since no ice cream machine is needed, the recipe is so super simple. 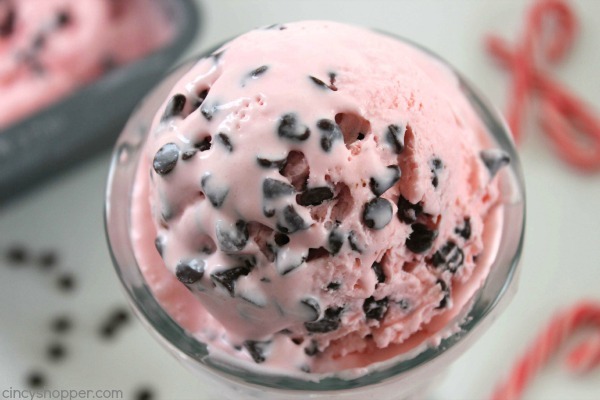 You can have this tasty homemade ice cream in the freezer in just a few minutes time. My family loves their ice cream and we really like creating our own homemade since we can create our favorite flavor combinations. 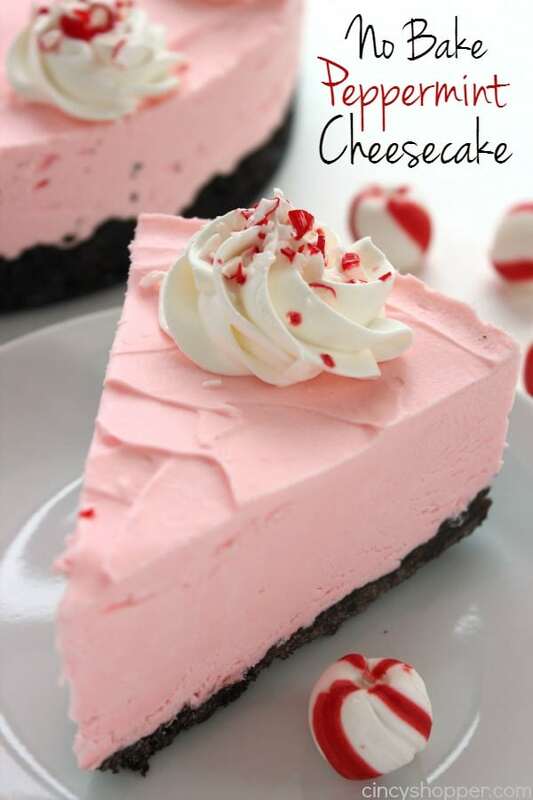 With the holiday right around the corner, we have been making quite a few peppermint treats like our No Bake Peppermint Cheesecake to enjoy. 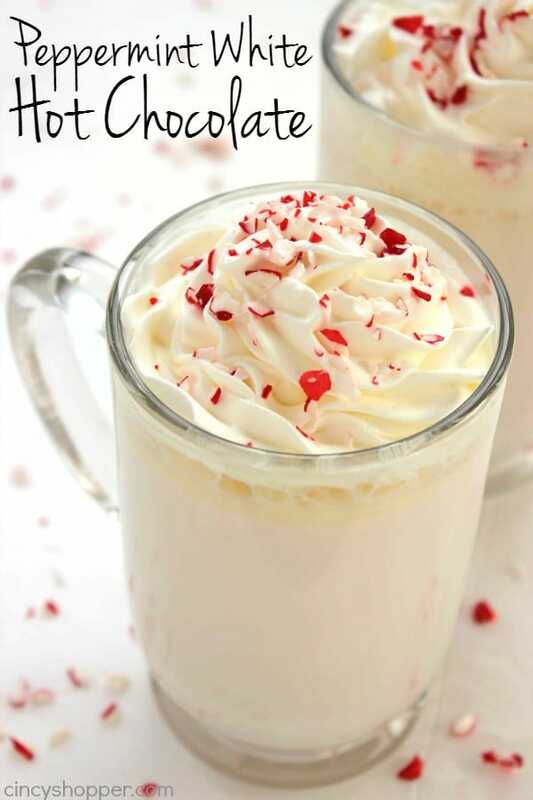 Peppermint is always so festive and is perfect for the holidays. My kiddos love our No Churn Reese’s Peanut Butter Ice Cream. 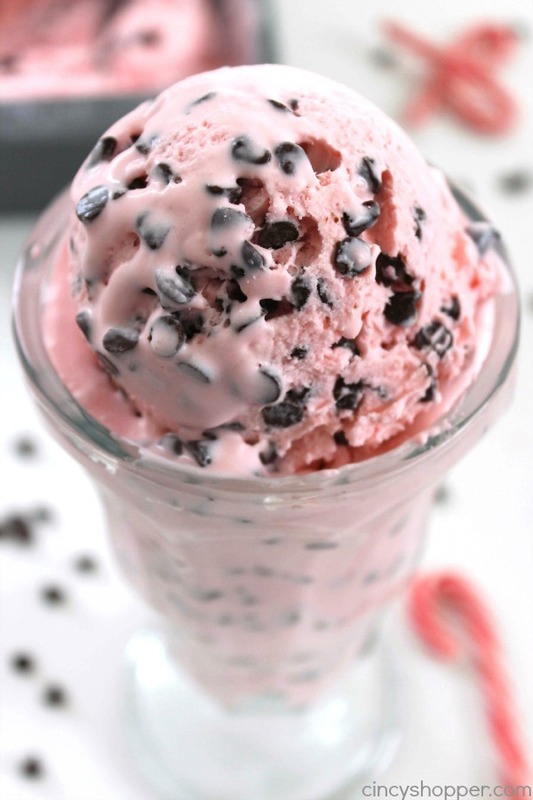 This Peppermint Chocolate Chip Ice Cream is made very similar. Both start with the same basic ingredients. I considered tossing in some peppermint Oreo Cookies to please my oldest son (he is a Oreo fan) but I was fresh out of peppermint Oreo cookies. I decided on keeping this peppermint ice cream simple with just mini chocolate chips. 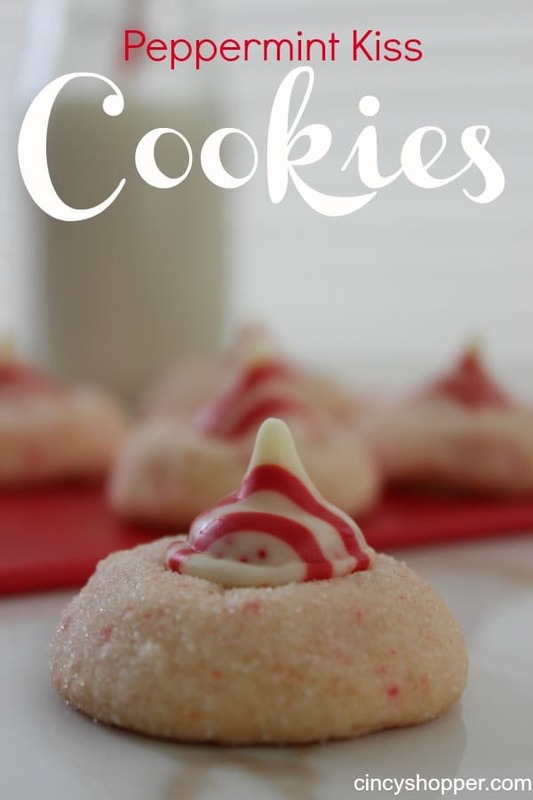 If you have peppermint Oreo cookies on hand, toss them in and let me know if they are a tasty addition. During the holidays, I will make a couple trays of brownies to have for family get-togethers. 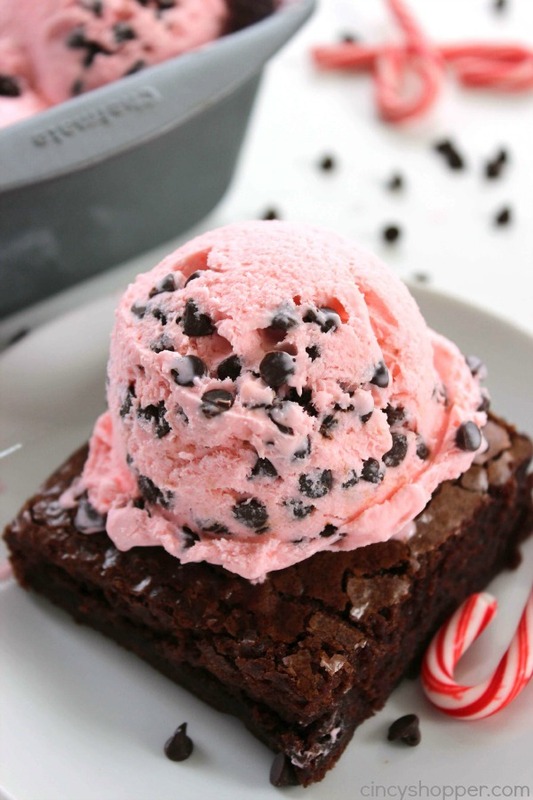 Just as I thought, this peppermint chocolate chip ice cream was absolutely perfect on top. 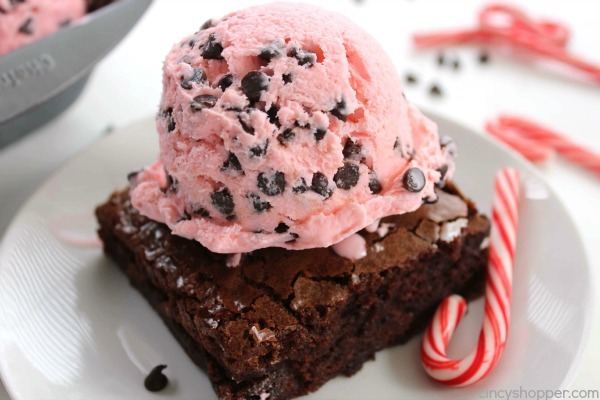 The brownies, peppermint, and chocolate chips were perfect together. This ice cream would be perfect for serving at your holiday parties. Making homemade is so much better than store bought. No churn ice cream is so simple. We always start with heavy whipping cream and sweetened condensed milk. With just a few whips, this stuff is ready for mix-ins and then the freezer. Ice cream is always great by itself or on top of other great desserts. 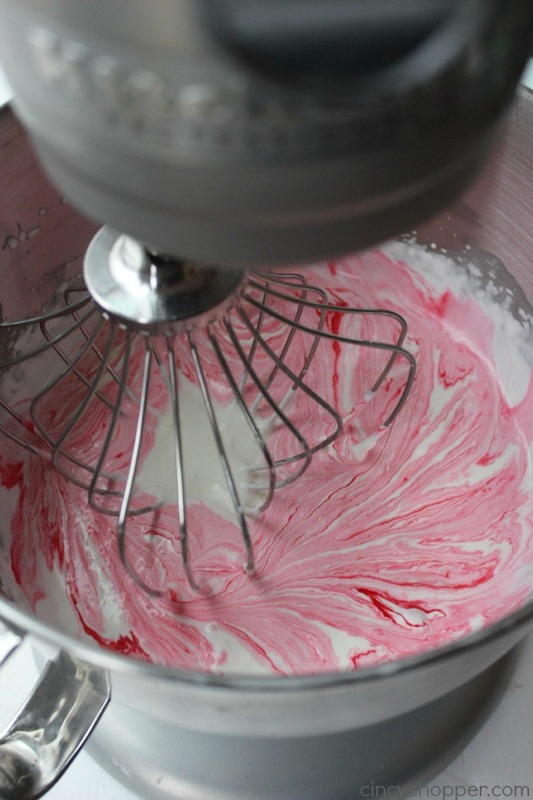 Whip heavy cream and peppermint extract until stiff peaks form. Add food color and beat until color is uniform. Fold in chocolate chips (reserve a few to sprinkle on top). Spread mixture in loaf pan. Distribute remaining chocolate chips on top. 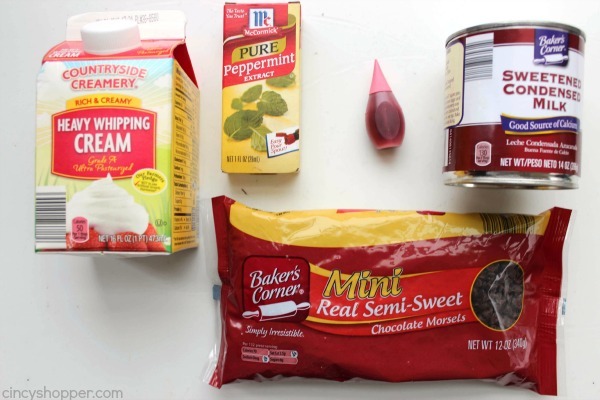 Do you have a favorite peppermint dessert? 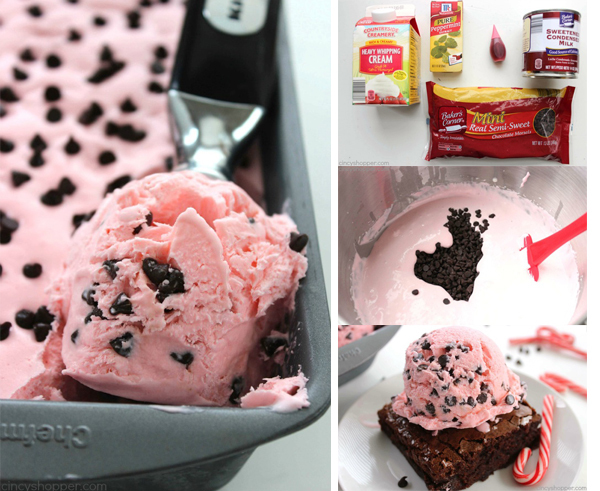 Peppermint ice cream is oh so yummy! My husband would love this! Sharing on FB now! This sounds delicious- I love the mint and chocolate flavor combo! This looks so yummy! What a perfect holiday treat idea. 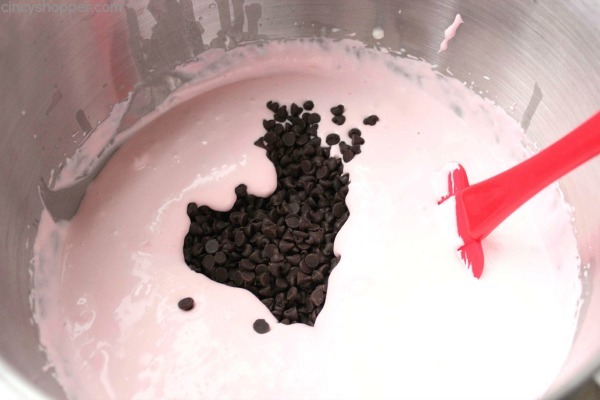 Thanks for sharing your fun and festive ice cream recipe on this week’s Monday Funday Party! I made this and just took it out to do a ‘taste test’. Oh my goodness! I think I could sit and eat the whole thing! I know it looked good, but wow! I think I better make a second batch now ~ I wouldn’t want to be short on Christmas Day! Serving with flourless chocolate cake! Also making the eggnog cheese cake! I can’t wait! Thank you for all your hard work and a wonderful site ! You look way too young to have five kids! **any recipe ideas for eggnog icecream? Wow! I made this tonight and I’m hooked! 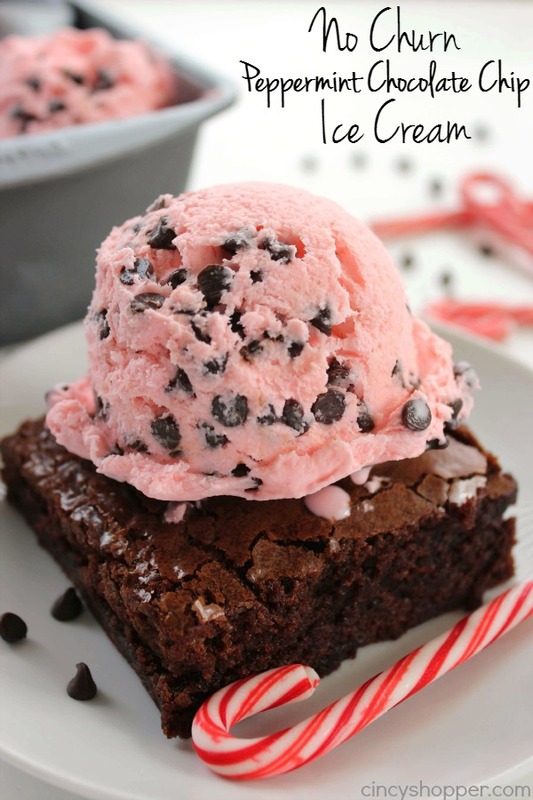 I LOVE chocolate and peppermint so this had my name written all over it lol I’ve never been a huge fan of hard frozen chocolate so I tweaked the recipe a bit – I took the cup of chocolate chips and melted it in the microwave, and when it was melted i stirred in two teaspoons of coconut oil. Then I alternated layers of the cream and drizzled chocolate giving it a bit of a swirl before freezing. Now the ice cream has a chocolate “crackle’ running through it that melts the second it hits the tongue. I can’t wait to try out other flavor combinations! 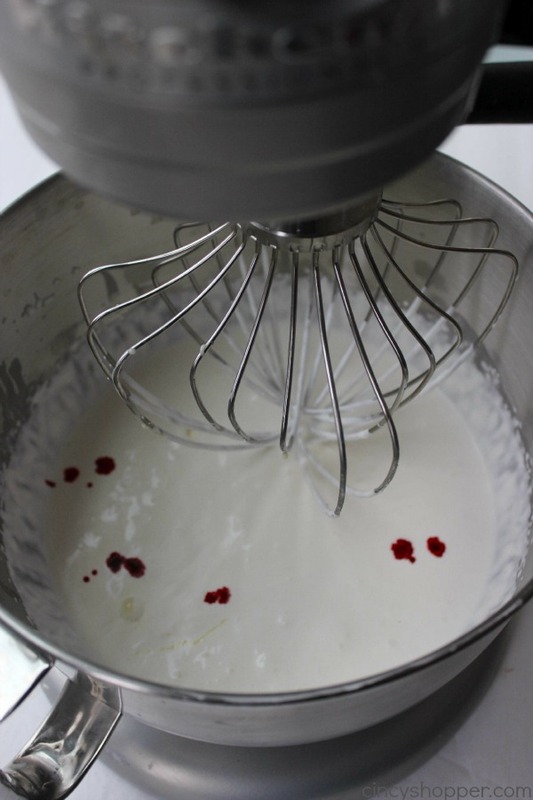 I don’t have a stand mixer, would mixing by hand or electric mixer work?? 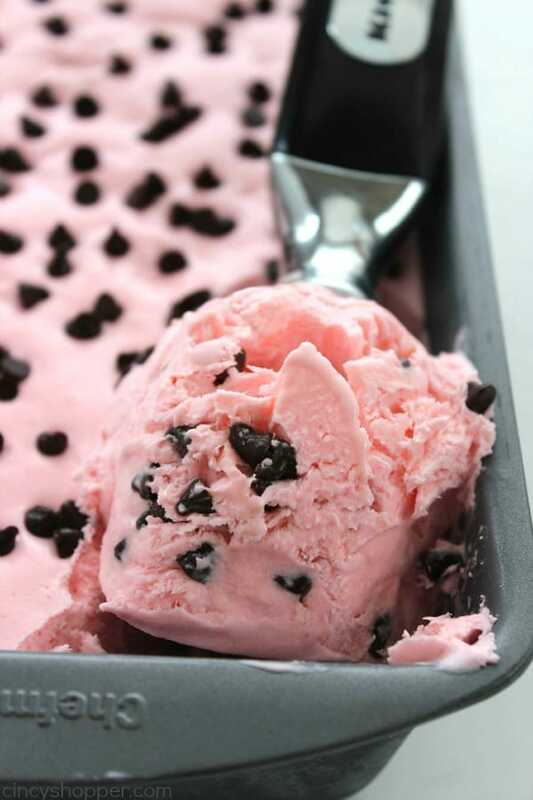 This ice cream looks so yummy! But when you make what consistency should it be? I just stuck mine in the freezer and it looks like whipped cream.